For at least the foreseeable future, the weather is one of those things we have to plan around. Whatever advanced technologies we may develop soon, I still can't pinpoint a date and dictate with absolute certainty that it be a perfectly clear and warm day. We're subject to its whims, and that means many of us need to take it into consideration when we schedule events or dress for the day. Since the weather is something almost all of us need to be aware of, we were wondering how you got your information, especially when it comes to your phone. How do you get your weather forecast? Even with all our weather satellites and data models, the weather can be tough to predict. As a resident of the Boston area, the highest weather authority is probably Weather is Happening, and even it didn't anticipate yesterday's brief bout of snow. Thankfully I also check the forecast every few days or so via an app and my preferred weatherman. Not everyone has the same workflow for grabbing the forecast, though. Many stick to an OEM weather widget or the data presented by a stock app or launcher. Some people install third-party apps from their favorite weather provider, others are old school and only get their weather reports from the evening news or during their commute via radio. Those on the bleeding edge might even grab the info via a smart display or mirror. But for the purposes of this weekend's conversation, let's stick to phones. 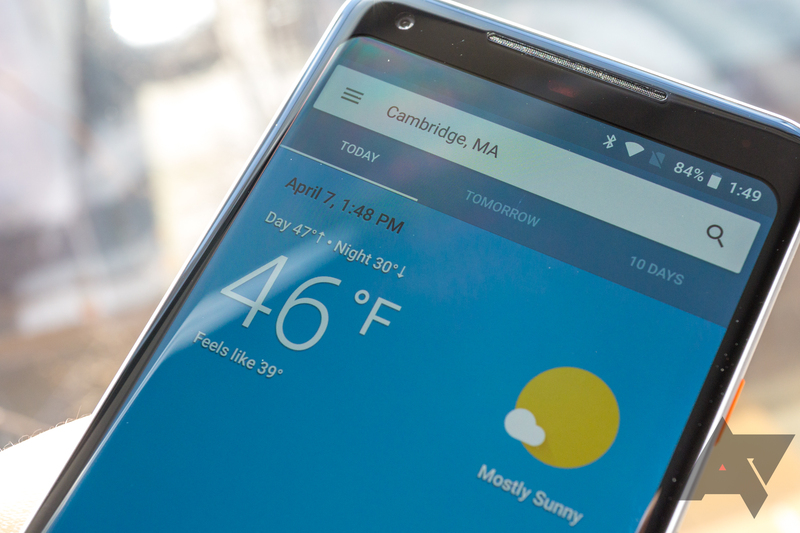 So, how do you grab the weather on your phone (if you do at all)? How do you check the weather on your phone? With a standalone/separately installed app. Via a preinstalled app, widget, or launcher. By visiting a weather provider's site. I don't check the weather.